The Ledcor Group of Companies is one of North America’s most diversified construction companies, serving the building, oil & gas, infrastructure, mining, power, and telecommunications sectors. Ledcor also own operations in property investment, forestry, aviation, and marine transportation services. 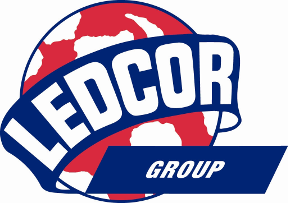 Ledcor employs over 7,000 people across 20 offices, and numerous construction sites. Since 1947 we have been growing with our clients and partners: Forward. Together. Find out how at www.ledcor.com.